They’re fun, free, scripty, and apparently sticky! 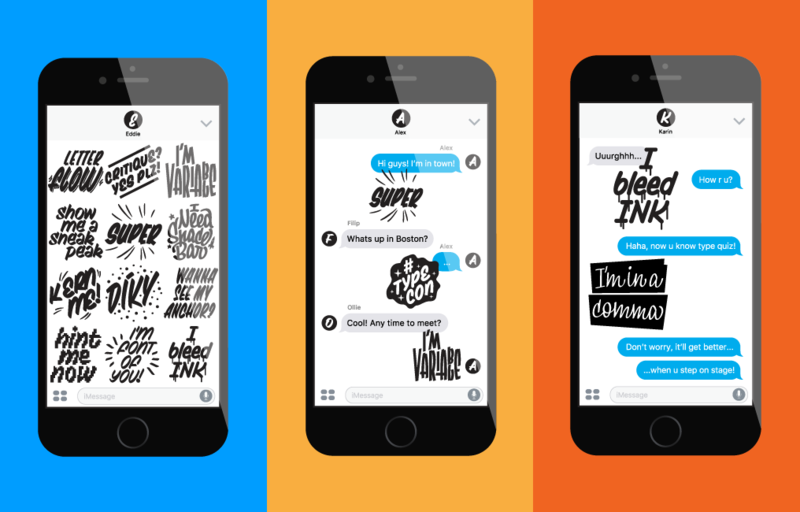 Designed especially for TypeCon, this special edition of Petra Dočekalová’s Script Stickers for iMessage will add a bit of typographic character to your chat history. Petra Dočekalová is a Czech-based type designer, sign painter, and member of the Suitcase Type Foundry and Briefcase Type Foundry teams. She is presenting New Lettering Forms as part of the TypeCon2017 program.